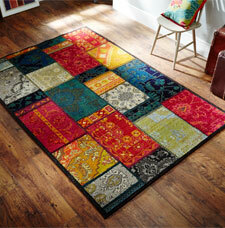 Kaleidoscope Grand Tour is a range of modern chic heavyweight rugs with vivid colours. The rugs are also thick, dense and very soft to the touch. In addition, the rugs are also colourfast, antistatic, and easy to clean as the yarns repel dirt, furthermore the rugs are also excellent value for money.